A picture is really worth a thousand words, and in this event, that saying relates to telescope tape. 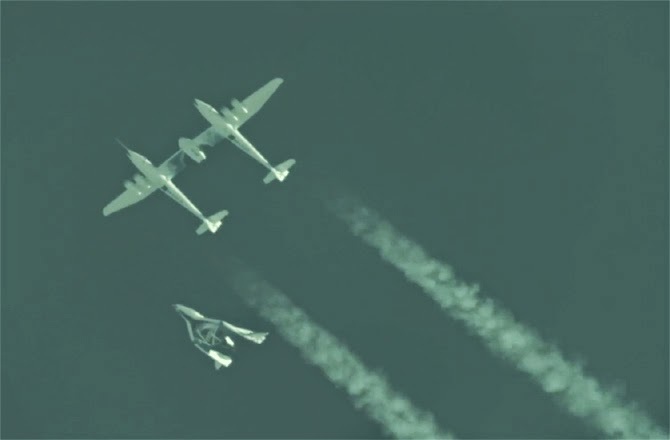 The video below displays Virgin Galactic's SpaceShipTwo breaking the sound barrier. Taken by Clay Center Observatory and MarsScientific.com.